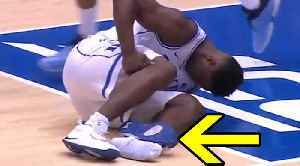 Zion Williamson hit the court for the first time since his injury…and in the last twelve minutes of the first half, it looks like a player on the opposing team, Frank Howard, tried to trip the Blue Devils young star. Frank commented on the controversy…what he said about it coming up in just a second. This was also the first game in Zion’s new kicks…Nike showed up to support and make sure all was well with the new sneaks. 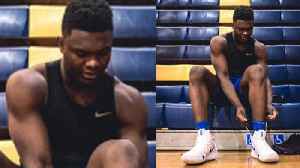 All in all, last night’s game proved that the Zion is so ready to take on the NBA. 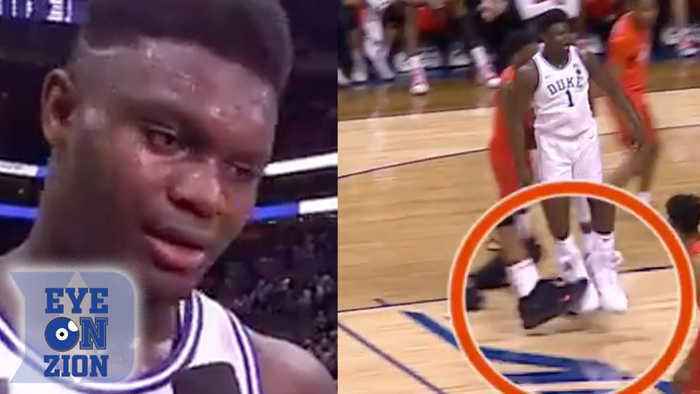 Nike Responds As Zion Williamson RIPS Through His Shoe Injuring Himself In Biggest Game Of The Year! 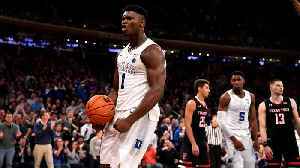 Last night…in the BIGGEST GAME OF ZION’S LIFE, the player we’ve all had our eyes on suffered an injury that prevented him from playing in the rest of the game…and it all happened after he had..